What a week. I started my new job, complete with the 1+ hour commute. One day is was 55 minutes, one day it was an hour and a half. I feel completely at the mercy of every other driver on the 101. So I am very motivated to move closer to work, although that flies in the face of my natural resistance to change. As I look at houses to rent, I am beyond picky, I want perfection, but I want it at the price I want. I have a two story - horrible to cool in Arizona summers, so I want to go into a one story, but I don't want my 18 year old's bedroom too close to mine. In that way, the two story layout has been ideal, my master is on the first floor and her bedroom is on the second floor. This gives both of us plenty of space. The first three days of my commute, I listened to the Adam Carolla and Dr. Drew podcast that my sister has been raving about. It actually is pretty entertaining. So I downloaded Carolla's "Not Taco Bell Material", and I found that I can pay attention to an audiobook when I'm trapped in traffic. There were a few times that I found my attention straying, but this isn't the type of book that you will leave you confused if you zone out for a few minutes. It's pretty funny. I added a few good books this week. I'm looking forward to getting back on my normal reading schedule. Hope you all have a great week, with a short commute! illuminates the power of friendship in women’s lives, and is filled with her trademark wit, poignant and timely themes, sassy, flesh-and-blood characters, and the steamy Southern atmosphere and beauty of her beloved Carolina Lowcountry. I love Dorthea Benton Frank, these are the perfect summer reads. 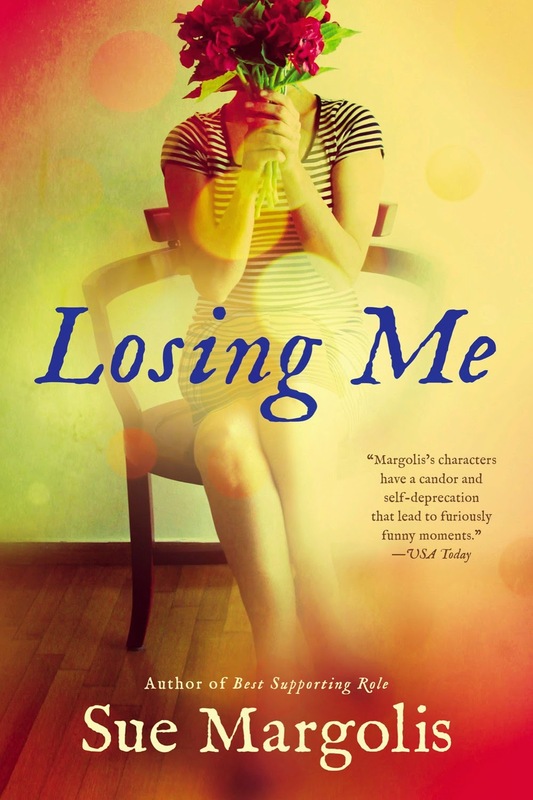 Losing Me by Sue Margolis.....Knocking on sixty, Barbara Stirling is too busy to find herself, while caring for her mother, husband, children, and grandchildren. But when she loses her job, everything changes. Exhausted, lonely, and unemployed, Barbara is forced to face her feelings and doubts. Then a troubled, vulnerable little boy walks into her life and changes it forever. I understand this is written by the actress who played Susie on "Curb Your Enthusiasm". I loved her, so I have high hopes for this book. young woman at the grocery store, his heart stops. She is the spitting image of his college girlfriend, Marissa Minor, who died in a campus house fire twenty years earlier. But when Nick tries to speak to her, she acts skittish and rushes off. The next morning the police arrive at Nick’s house and show him a photo of the woman from the store. She’s been found dead, murdered in a local motel, with Nick’s name and address on a piece of paper in her pocket. Convinced there's a connection between the two women, Nick enlists the help of his college friend Laurel Davidson to investigate the events leading up to the night of Marissa’s death. But the young woman’s murder is only the beginning...and the truths Nick uncovers may make him wish he never doubted the lies. This looks like it will be a page turner. Can't wait. 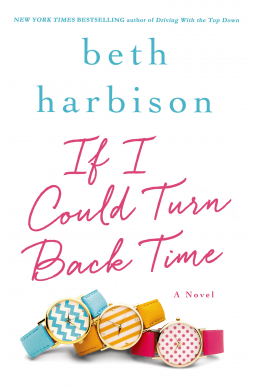 If I Could Turn Back Time by Beth Harrison.....Thirty-seven year old Ramie Phillips has led a very successful life. She made her fortune and now she hob nobs with the very rich and occasionally the semi-famous, and she enjoys luxuries she only dreamed of as a middle-class kid growing up in Potomac, Maryland. But despite it all, she can't ignore the fact that she isn't necessarily happy. In fact, lately Ramie has begun to feel more than a little empty. Who hasn't wanted to turn back time? It's a requirement of my middle agedness. 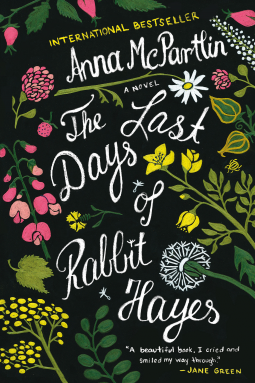 can't be escaped: for Mia "Rabbit" Hayes, life is coming to an end . . .
How much am I going to cry? A lot. One brief blog, for my Summer Reading Challenge, hosted by Booksparks Summer Reading Challenge 2015. Have you joined the challenge yet? They are giving away a Kindle each week! Sign up here. So far both books in the challenge have been GREAT, and not ones I would have normally chosen.